Jennifer Del Prete smiles minutes after being released from prison Wednesday afternoon more than 10 years before her scheduled parole. Del Prete’s first stop was Cracker Barrel for dinner with her daughter Tia (right), other members of her family and The Medill Justice Project. After about 10 years in prison, Jennifer Del Prete was all set to leave. Her family was waiting outside and ready to take her home. But when an officer told Del Prete there was a group on its way to see her, she decided to stay just a little while longer. “I’m going to wait for Northwestern,” Del Prete told the officer. After more than two and half years of investigating her case, Medill Prof. Alec Klein, the director of The Medill Justice Project, did not want to miss Del Prete’s exit from prison and was on his way to Lincoln, Ill., with some of his students. Del Prete, a former daycare worker who was sentenced to 20 years in jail in 2005 after being accused of shaking an infant to death, was released on bail Wednesday after U.S. District Court Judge Matthew Kennelly ordered Del Prete’s release while the courts examine her claims. The Medill Justice Project was cited in Kennelly’s decision. Although Del Prete is out of prison, her claims must still process through the courts, which could take years. The Medill Justice Project, which began investigating Del Prete’s case over two and half years ago, found a letter from 2003 in which the lead police commander on the case said the doctor who performed the infant’s autopsy had doubts about whether the infant had actually died from shaken baby syndrome. However, the letter was never presented in Del Prete’s trial. The Medill Justice Project’s finding played a large role in the motion that was filed in the federal court in Chicago requesting the consideration of the new evidence. 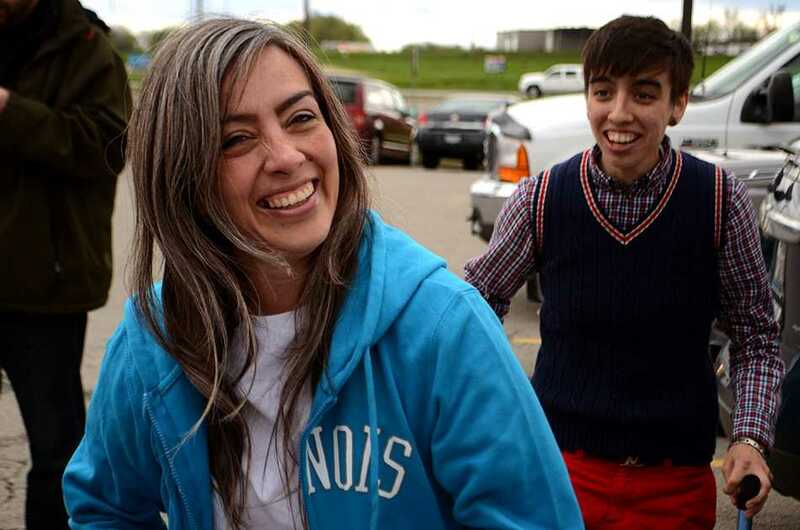 Following Del Prete’s release, Klein and the other members of the Medill Justice Project helped Del Prete cross off two things on her post-prison bucket list: They accompanied her to Cracker Barrel, where she was able to eat steak for the first time since 2005. Medill senior Alex Hampl was part of the second team that worked on Del Prete’s case when he was a student in Klein’s Investigative Journalism course during Winter Quarter 2013. He was in Lincoln when Del Prete was released. Hampl said his work in the class was unlike anything he had experienced before.